(S0212) We like to think of growing up as being a universal experience. There’s summer trips to the places our parents went when they were young, hand-me-down clothes, and works of fiction that seek to be timeless, capturing the awkward feelings of being a kid in ways that will stay fresh forever. We all assume that, since we were once kids, we will be able to communicate with younger generations, to level with them in some meaningful way. I would argue that in the 21st Century, those days are over. We’re approaching the tenth anniversary of the 9/11 attacks, which means that there are adolescents out there that have only ever known a world where such horrific dangers are a part of everyday existence. The ever-shrinking nature of the world, with its terrorism and war and technological interconnectedness, has forever altered being a kid. Most are forced to grow up too fast while others are held under the wing of a protective parent for far too long. It’s a world where children have to know so much before they’ve really learned anything. No wonder Pixar’s films are so damn dark and tragic; that’s what it is to be an adolescent these days. What “Niece,” tonight’s episode of Louie, did so well was illustrate the ways in which the old and new world of understanding the young tend to collide. C.K., from his opening bit about 20-year-olds working counter jobs to his unsuccessful attempts to bond with Amy, his niece, is at a disadvantage. In his mind, kids and young adults are still incomplete in many ways, and have never made a really significant impact on the world. This may be a product of his Catholic upbringing (which was hinted at at several points in Season One), and it may also be because his own children are still at the stage where he, as their parent, is a hero. Sure, they may roll their eyes at him when he air-drums along to The Who, but when he threw that bike frame through a window in “Halloween/Ellie” a couple weeks back, his daughters marveled at how he knew exactly what to do in the moment. Contrast that with the way Amy looks at the world. Granted, her upbringing seems significantly less healthy than the one C.K.’s daughters have been blessed with, but she is still the classic sullen teenaged girl, wearing a winter hat and headphones and hardly making a peep. The few times she does speak up, she’s very adult; she talks C.K. into going to an indie rock bar, and tells him that she wouldn’t be offended by his standup because she hears language just as salty from her own mother all the time. As is so often the case on Louie, C.K. sees an inch and tries to take a mile. After he hands a homeless man some money, Amy tells him how her father told her to be wary of those that are charitable. C.K. shoots back “Yeah, and then he ran out on you.” It’s perhaps the most adult-to-adult thing that he could say, but it goes just a step too far. No matter how grown-up-too-soon people of Amy’s generation are, they’re still kids, and are still vulnerable to the uglinesses of the adult world. The subtle ways that C.K. plays with age differential and the cynicism of teenagers is undercut somewhat by the too-convenient ending, in which he has to take responsibility for Amy’s custody in light of her mother’s hospitalization. Louie usually handles its humanist messages with much more deft poignancy, so the on-the-nose phone call seemed a little out of character for the show. 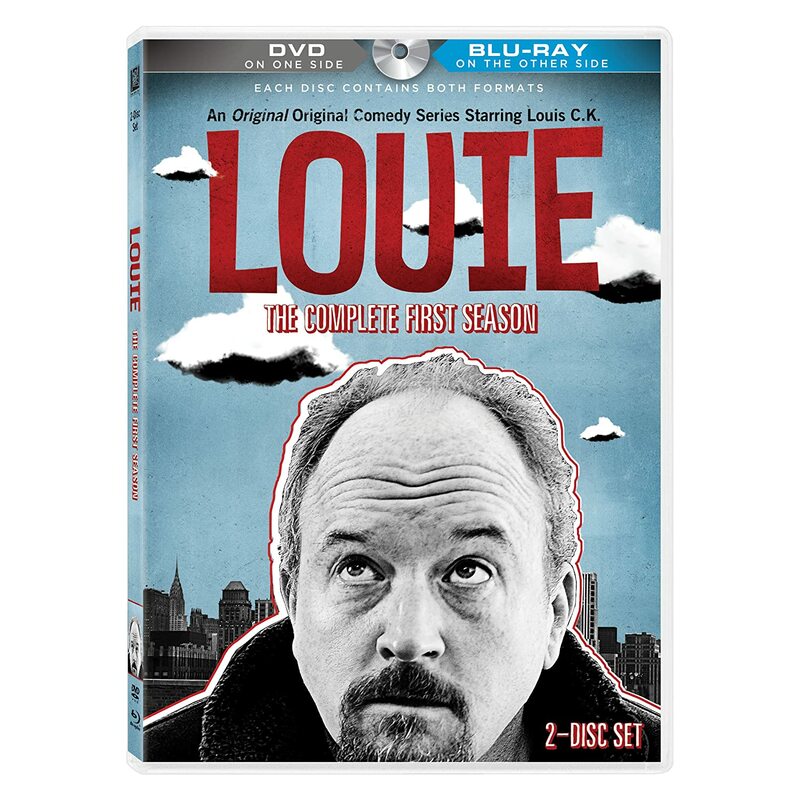 With the season finale next week, it remains to be seen if this is a new sort of serialization for Louie, but I’m sure that no matter how C.K. chooses to end the season, it will maintain the level of confidence and quality that has been the trademark of the show’s entire run. The duckling/afghanistan episode was brilliant, still thinking about it a week later. Look forward to catching up on this one, great job Andrew !